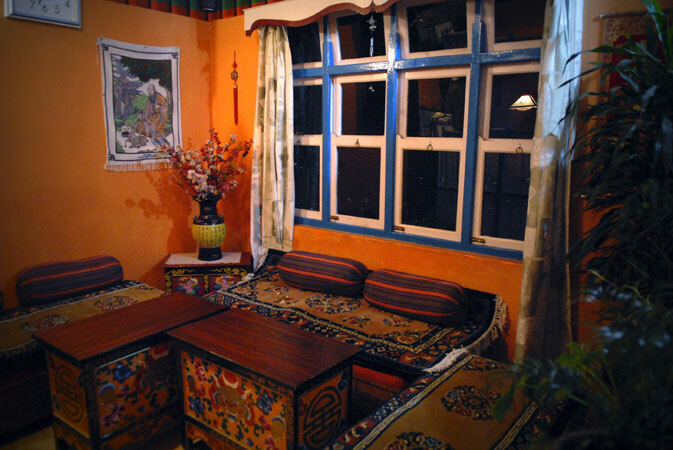 Guest House in Gangtok, Sikkim, Sikkim Guest House, Gangtok Guest House,Guest House in Sikkim, Guest House in Gangtok, Hotel in Gangtok, Gangtok Hotel, Sikkim Hotel, hotel in Sikkim. 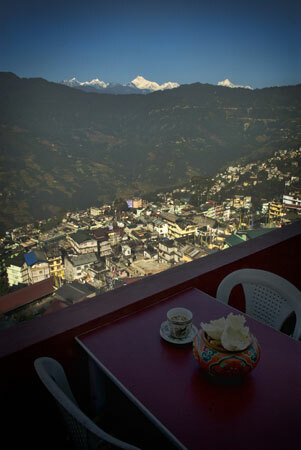 Hotel Pandim has a rooftop terrace restaurant with beautiful views of Gangtok and the Himalaya. 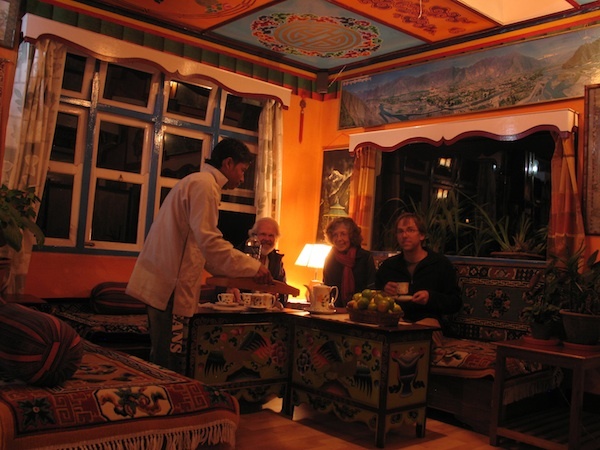 We serve traditional Sikkimese and Tibetan food, in addition to Indian, Chinese, and Continental. Please stop by for a meal, or for some tea in the morning. 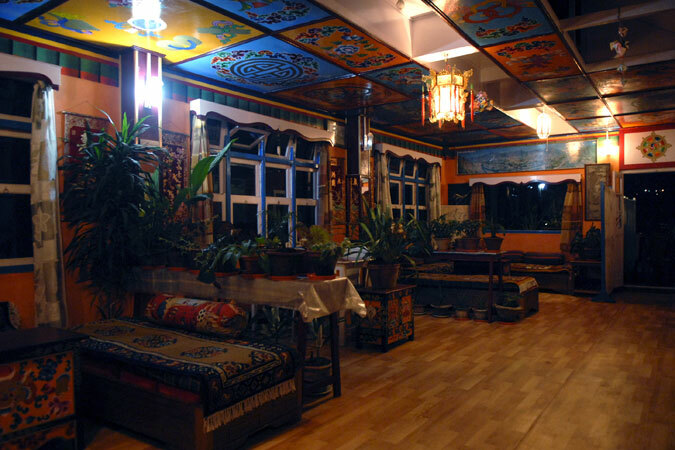 local delights such as momos and thukpa. 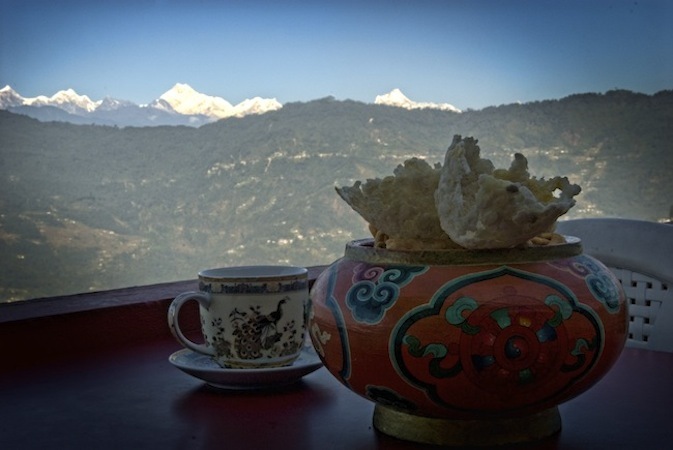 Have morning tea and gaze at the himalaya from our rooftop terrace restaurant. Hotel Pandim an excellent value during their stay. 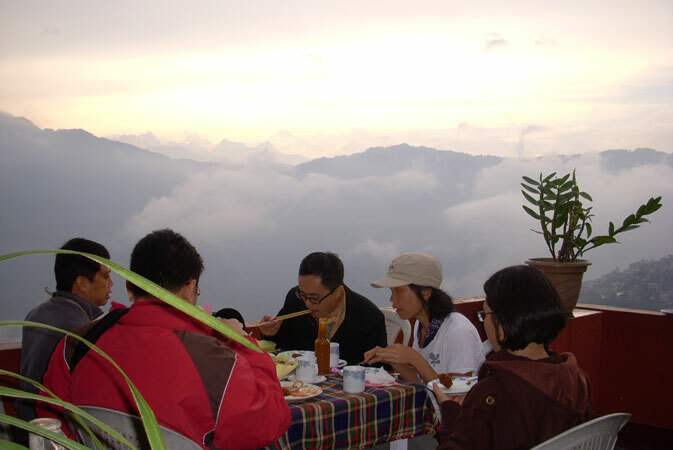 Guest enjoying food at rooftop terrace.